A new £1.63m ward will open at Castle Hill Hospital tomorrow to assess and treat patients with complex infectious diseases. Hull University Teaching Hospitals NHS Trust is one of the UK’s designated centres for treating patients with multi-drug resistant tuberculosis (TB) and for the assessment of possible haemorrhagic illnesses such as Ebola, dengue and yellow fever. Ward 7 will open today with 12 specialist rooms treating patients with these highly contagious viruses and drug-resistant infections. Infectious diseases consultants, senior nursing and ward staff have worked with a dedicated team from the trust’s Estates and Infrastructure department to design the new unit enhancing Hull’s reputation as a regional centre for the treatment of infectious diseases. Dr Hiten Thaker, one of the trust’s infectious diseases consultants, said: “We have already become a regional hub for the treatment of HIV and hepatitis and have the authority to prescribe specialist antibiotics for drug-resistant TB. “We already had the status because of the expertise of our personnel. Now, we have the facilities to match. “This is an inspiring environment for our staff and it is really exciting for all of us, from the housekeepers to the auxiliary nurses, the staff nurses and the consultants. 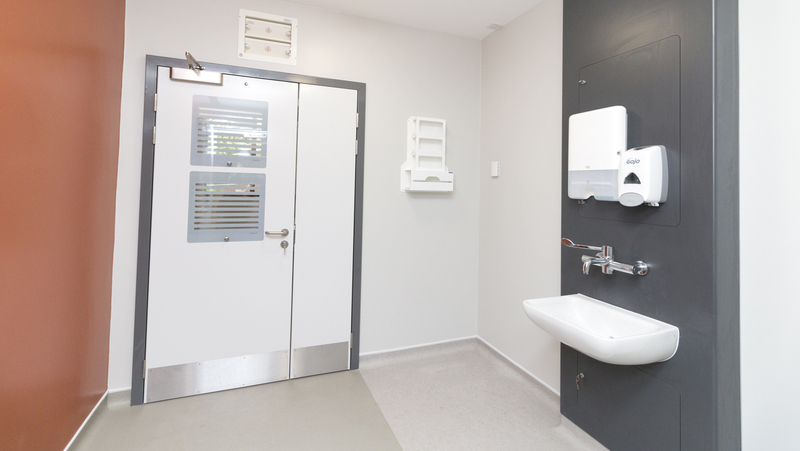 Five rooms are “negative pressure” isolation facilities with lobbies and en-suite showers, including one designed to care for vulnerable adults. Special ventilation systems prevent contaminated air escaping to other parts of the ward. One room is patients with Ebola or similar conditions who are awaiting transfer to specialist treatment centres in London or Newcastle. 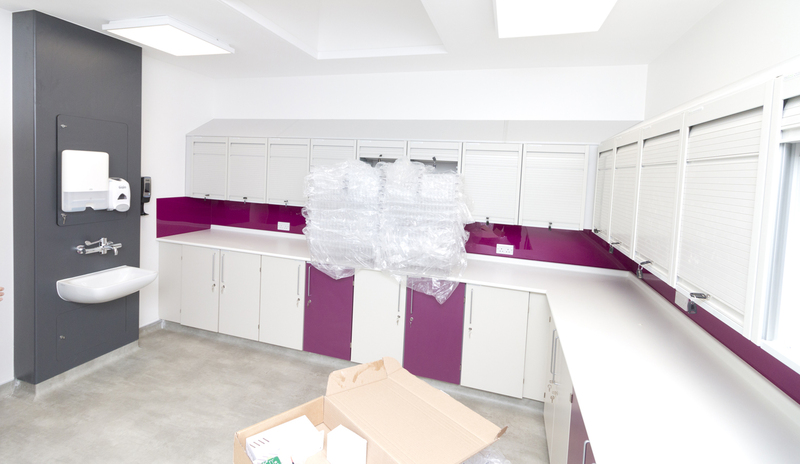 The first room of its kind in the Humber region, the high-level isolation room has a dirty/clean route where staff are able to take personal protection equipment on and off – known as “donning” and “doffing”. 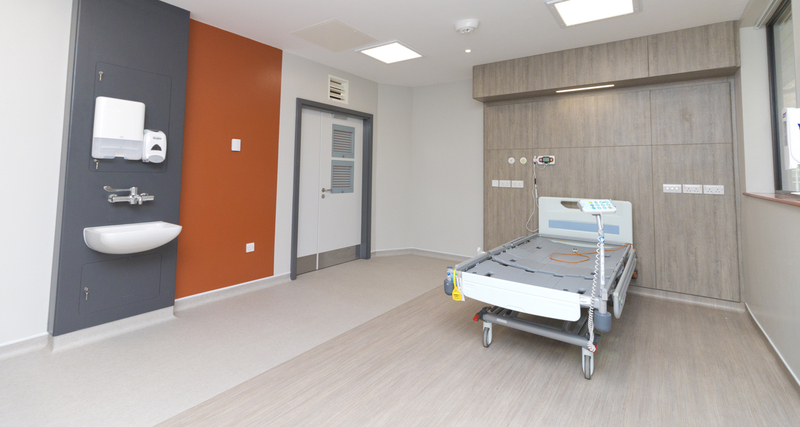 Six other high-specification rooms will also help patients with drug-resistant TB or other infections resistant to more than one form of antibiotic. The trust has also created a family room on the ward where relatives can stay close to seriously ill loved ones. Hull has been treating patients with infectious diseases since the 14th century, when sailors with syphilis, the first known cases in the world, were nursed at an Augustinian friary in the city. Garrison Hospital opened at Sammy’s Point in 1866 and a ship’s bell used to ring in the docks to signal the arrival of a ship carrying sailors with fever. The bell now hangs outside Nightingales Restaurant at Castle Hill Hospital. 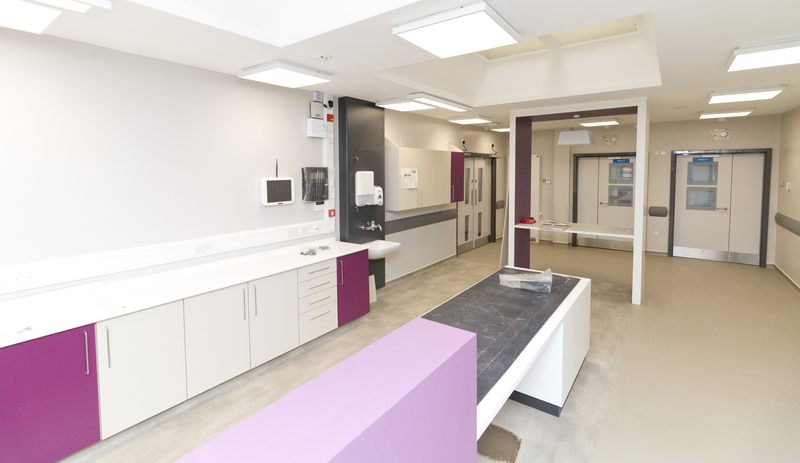 Despite having more than 200 beds treating patients with infectious diseases at one point, just one 15-bed ward remained at Castle Hill before the opening of the new ward. Since 2012, 1,956 patients with infectious diseases have been admitted to the ward and more than 40 people with meningitis and 43 people with tuberculosis have also been treated on the ward since 2012. Kim Pennington, pathology divisional general manager, has worked with the consultants and the estates team to ensure the smooth transfer of services from the former ward to Ward 7. Dr Thaker said the new ward would help the trust to attract the best staff working in infectious diseases. He said: “It provides us with the opportunity to highlight ourselves as a training centre which has all those facilities to train junior doctors to a very high level of specialist training in this area.